Tanzanite features a bold and rich blue color that compliments white gold and diamond very well. Due to the rarity of this gem, it’s often accompanied with diamonds around the band to add contrast to it’s vibrant color. This gemstone is hard to find and was discovered fairly recently near the famous Mt Kilimanjaro. For high quality Tanzanite, you’ll be looking at $300+ per carat and the worldwide market for Tanzanite sits at around $50 Million USD. Morganite is actually a variety of beryl and has seen growing sales due to the increased popularity of pinkish gemstones. 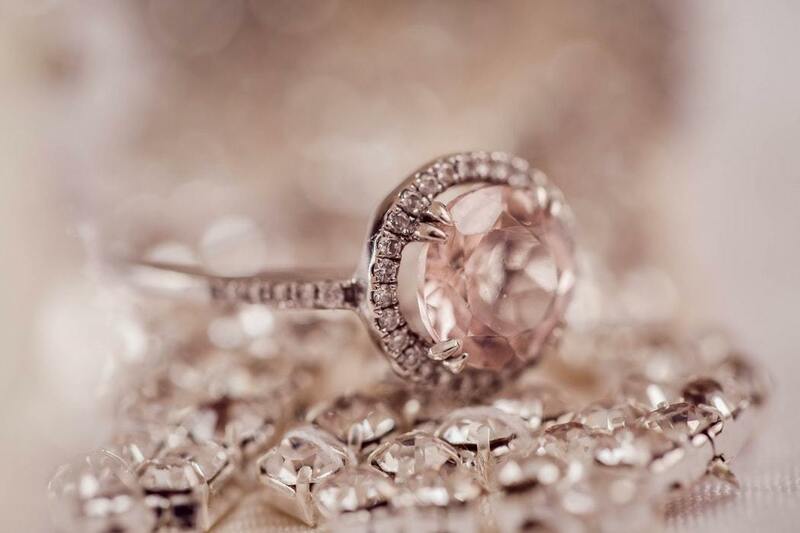 On top of its innate pink color, Morganite is often heated up to high temperatures to enhance the pink color and drive off any aesthetically displeasing tinges of orange or yellow. The color can vary and sometimes show as a deeper purple, but one of Morganite’s main features is that it very rarely has visible inclusions. For more information on the quality factors of Morganite, visit the official GIA site. The final option comes as a less expensive alternative to diamonds. Moissanite was discovered in a diamond mine in 1959 and was originally mistaken for a diamond due to the similarities. However, as an extremely rare gemstone it is often made synthetically now and it’s primary use is to drive down the cost of the jewelry it’s housed in. Despite its fair amount of resemblance to a diamond in weight and color, Moissanite is often considered a faux-diamond and is considered “fake” by gemstone collectors. Weighing your different gemstone options? We’re here to help! Contact Us via our online form or call us at 720.560.3548 to get started!